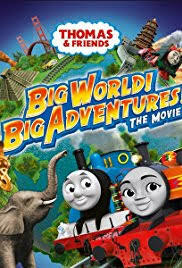 A movie-length adventure for Thomas the Tank Engine fans who want more than just the 10 minute episodes shown on kids TV. 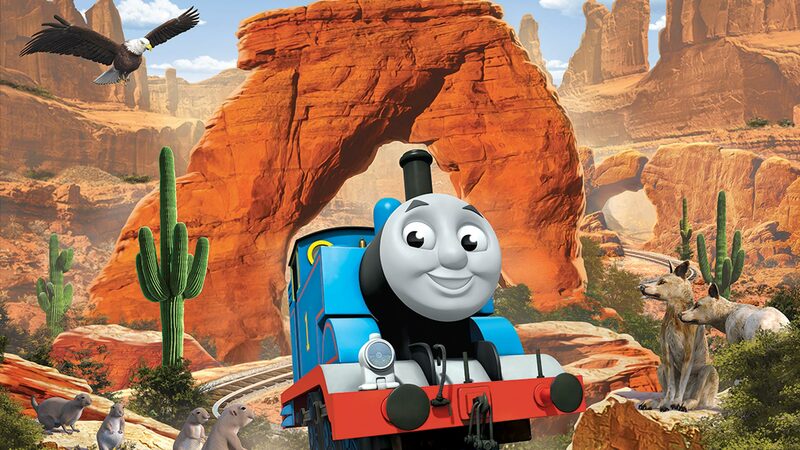 Thomas, the engine who is a perpetual pouting toddler needing to learn lots of life lessons, here gets to travel beyond the island of Sodor when he befriends Australian racing car Ace (Andre) and follows his speedy new pal around the world to Dakar and then on to the Amazon rainforest. Of course, things don’t go as planned but at least Thomas gets to meet wise Kenyan engine Nia on his travels. Aimed squarely at the under-5s – though whether they’re old enough to sit through a movie for an hour and 25 minutes could be a serious question for parents – this is colourful and cute in places, but grown-up fans of the older series (before it went all slick and computer animated) will mourn for the days of Ringo Starr’s voiceover, the simple but effective animation and the quaintness of Sodor (there is something very odd about seeing Thomas steaming around the globe) while they grit their teeth through another awful song (including one by Peter Andre himself) and wait for it to be over. This is a U certificate film so is suitable for all ages. Even little ones shouldn’t be scared by any scenes in which Thomas is (very briefly) in jeopardy. First look at the new Thomas & Friends movie!